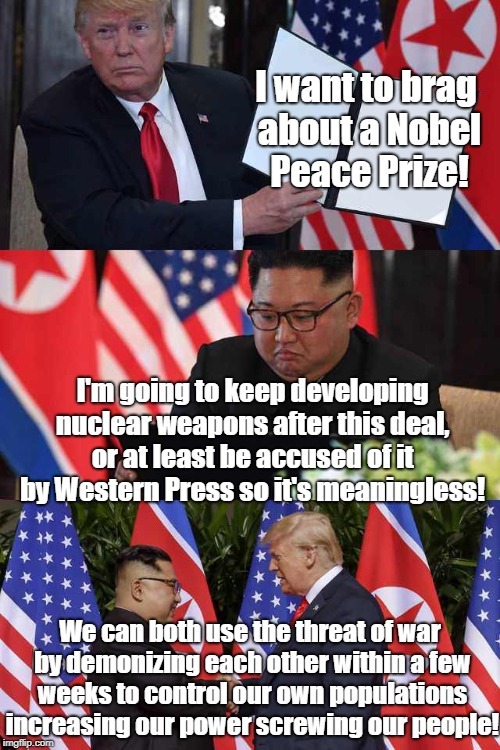 I want to brag about a Nobel Peace Prize! I'm going to keep developing nuclear weapons after this deal, or at least be accused of it by Western Press so it's meaningless! We can both use the threat of war by demonizing each other within a few weeks to control our own populations increasing our power screwing our people!